SAUDI ARABIA has adopted a strategic plan to develop the Kingdom economically, industrially and socially, using the country’s natural resources based predominantly on Oil. On implementing this strategic plan, the Kingdom concentrated on the most important sector of developments–to establish the sound and highly functional infrastructure facilities, which are considered the best in the world. The Kingdom’s educational institutions are of a very high standard and are providing the country with a highly educated people in many fields of technology, trade and commerce. To harness the capital resources available from the using of natural resources and to utilize the pool of well-educated Saudis, the country has embarked on its next stage of development by focusing on industrial development and support ventures. 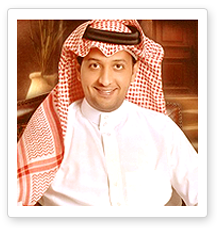 To participate in Kingdom’s social and economical developments, Tower Planning Co. Ltd was established with 100% Saudi Ownership under the CR # 2050040364. TPCO has a complete professional management, with highly qualified, experienced and motivated staff to cope with the fast developments of this country’s industrial and commercial sector. TPCO is also engaged in Operation and Maintenance’, supply of heavy equipments, Transportation. In case of any other specialized services, needed not covered therein, TPCO with the help of readily available professional consultants in the respective fields, will develop viable solutions to such need for the ultimate satisfaction of our customers. We trust this information find interesting and if any further details needed, please let us know for immediate response.